It's been over two months since we gave out any hardware, so we're overdue for another edition of Player of the Fortnight. For the uninitiated, here is a link to our last entry, where the winners were Lance Berkman, Josh Johnson, Alex Rodriguez, and Jered Weaver. Who's been best the past 2 weeks? Player agents teeter on the edge of their seats. Nervous anticipation paralyzes their plans. Their thoughts race through scenarios in future contract negotiations, where riches may be earned by mentioning their client's awards from BAseball Reality Tour. Who else would it be, but Joey Bats? His .443 OBP over the past fortnight is 2nd in the league to Ben Zobrist's .460, but his slugging percentage dwarfs the competition. 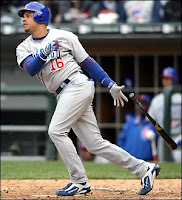 His .882 SLG is over 150 points higher the the next best score, (Ian Kinsler's .725 SLG). Time will tell if Bautista's 2nd half will show he's human, or if he'll cruise towards an MVP award this season. Looking at his bat speed and balance at the plate leads me to believe that he'll continue to be wildly successful for a few more seasons. This really wasn't very close. Jered Weaver got a second look, as he has pitched extremely well over 3 starts & 24 innings the past two weeks. Looking again at the numbers, though, no-one was as lights out as CC. 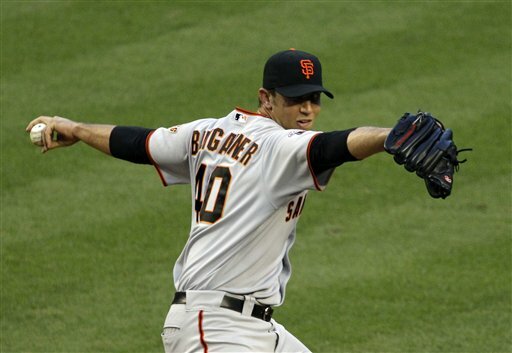 He lead the league with a 0.00 ERA, 0.50 FIP, 1.14 xFIP, and 14.7 K/9. Sabathia even had to overcome subpar defense, as his .367 BABIP allowed suggests. More importantly, no-one came close to matching his most recent back-to-back performances. The one hitter in baseball who has been more productive than All World Jose Buatista over the past two weeks has been the Cubs' third baseman. He leads all of baseball in this time span, with 9 HR's, a .909 SLG, and 260 wRC+. This, sadly, should be zenith for the Cubs' season. Madison "puts it on a shelf"
The usual suspects for this honor invited quite a few newbies to the party. Jonathan Niese was second in the National League with a 1.65 FIP. Matt Cain was third, and Cory Luebke's 1.78 FIP placed fourth, directly ahead of Tim Lincecum, Roy Halladay, Jordan Zimmermann, Clayton Kershaw, Jair Jurrjens, Vance Worley (? ), and Ubaldo Jimenez, rounding out the top 11. Madison Bumgarner only earned one Win over the past two weeks, but being the only pitcher with a sub-1.00 FIP and placing 2nd in the league with an 11.51 K/9 ratio sets him apart. 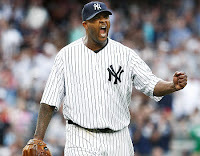 Looking ahead at today's pitching matchups, I'd be extra excited to see James Shields and Sabathia at Yankee Stadium. Dontrelle Willis will be making his Major League return for the Reds, facing Randy Wolf in Milwaukee. The crème de la crème will be in Orange County, as King Felix Hernandez and Dan Haren toe the rubber for the Mariners and Angels.